If you are interested in optimum health, living disease free for as long as possible, then you probably already know how important it is to make fresh greens part of your daily food intake. 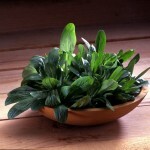 One of these powerful greens is watercress as we see in scientific studies. 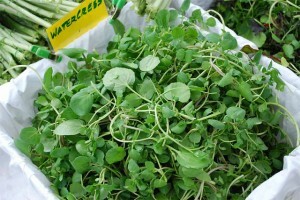 Watercress has properties that have been shown to reduce breast cancer tumors using a protein called HIF, Hypoxia Inducible Factor. The amount needed to show changes was only a 3 ounce serving. This amount would be very easy to add to your green juice combinations. Our new PowerGrind Pro juicer is also great at getting the most out of whatever greens you are juicing. Watercress, celery, parsley, apple, lime. Add some carrot if you like as well. I want to share some of my mentor’s words and information. These Master Teachers who also happened to be doctors, taught me the Powers of Juicing back in the late 1940′s. For the past 62 years, I have had the distinct honour to teach these virtuous ways of living. I thought it may be a good idea to share them with you tonight. As time goes by sometimes information is lost, so I want to make sure I share with you all as much as I can about what was selflessly taught to me so many decades ago. All of these books were like my bible. I must have read Dr. Kirschner’s book 500 times throughout a period of a decade. I never met Dr. Kirschner, but his book shook my entire world, exploding the myths about protein I once thought were true. I used to think red meat had the best protein to build powerful bodies, but I was wrong. Plant-life has the best usable proteins for humans. During the time I read Dr. Kirschner’s book I had already been reading Dr. Norman Walker’s Fresh Vegetable Juices, which was first published in 1936! We need to know there are other alternatives to helping our bodies heal and recover from either disease or trauma. That’s what these doctors did for me over six decades ago. Their information is priceless, so I thought you may be interested in reading some of the books that helped me during some pretty dark times. 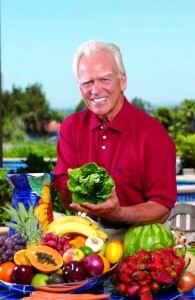 I learned from Dr. Walker, back in the 1960′s about the glands and why they are so important, as well as all of our internal organs, and how juicing cleanses and purifies our system naturally providing all the natural minerals, plant food enzymes and vitamins our bodies can assimilate at a rate of 100% because they are in juice form. In Dr. Walker’s book, Fresh Vegetable and Fruit Juices, this is where I learned a tremendous amount of information about juice combining. 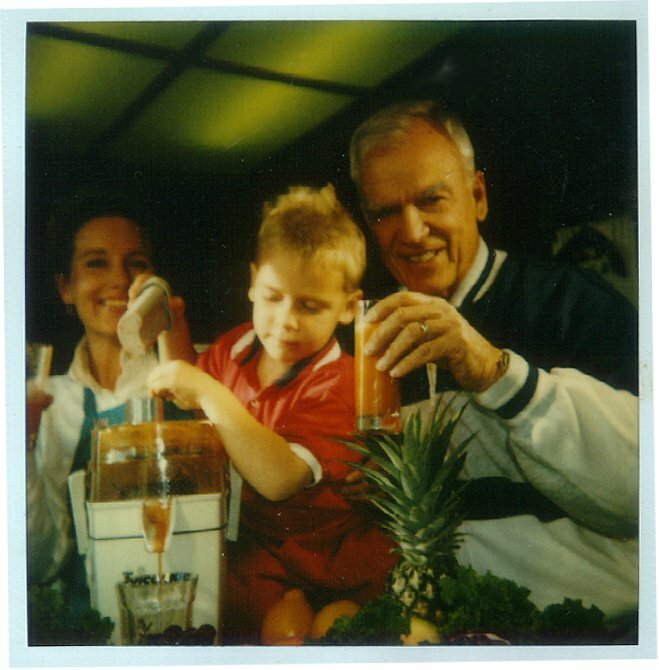 In the 1960′s I went to visit Dr. Walker in Arizona and spent some time with him going over and over all of his theories and juice combinations and personal lifestyle. He was a gentle man, and someone I will never forget. He cemented my convictions about juicing even more. He was not a total raw foodist. He did consume dairy products and had his own goats at home where he was able to get fresh, unpasteurized raw milk from his goats. He believed that cow’s cream was far more digestible than cow milk. However, he preferred goat’s milk because molecules were smaller in goats milk than in cows milk, making it more easily digestible. 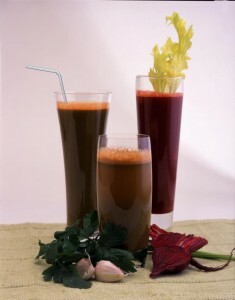 I learned from Dr. Kirchner, that carrot juice is almost identical to the human blood, chemically speaking. And I learned that toxemia is due to poor food habits and that carrot juice combined with greens can and does eliminate toxemia. 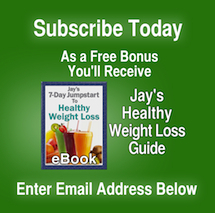 He showed photos of several people who were dying and how vegetable juicing took them from their death bed to vital, pure health within just a few months. By the 1970′s after 25 years of reading and researching, selling juicers and teaching anybody who would listen about the beautiful life of juicing, I quit reading so much and started to become more active in lecturing, teaching and demonstrating at health conventions, Seventh Day Adventist Hospitals and helping others do research on cabbage juice healing stomach ulcers. By the 1990′s I finally had the distinct honour to reach millions of people through television, which influenced millions and millions of Americans to juice on a daily basis. Now in this new millenium, I am finding that balance, family, enjoying life every moment brings me great joy, along with juicing everyday. I am not as driven as I once was, so being in Nature brings a lot of deeper wisdom and understanding about the mysteries of life and of love. Interestingly, though, I have been called back to work, and I am happy to do so. Hopefully I will have more time on Earth so Linda and I can write more books to help inspire more and more of you to rely on the healing powers of Mother Nature, and of course, in Her juice form as well! 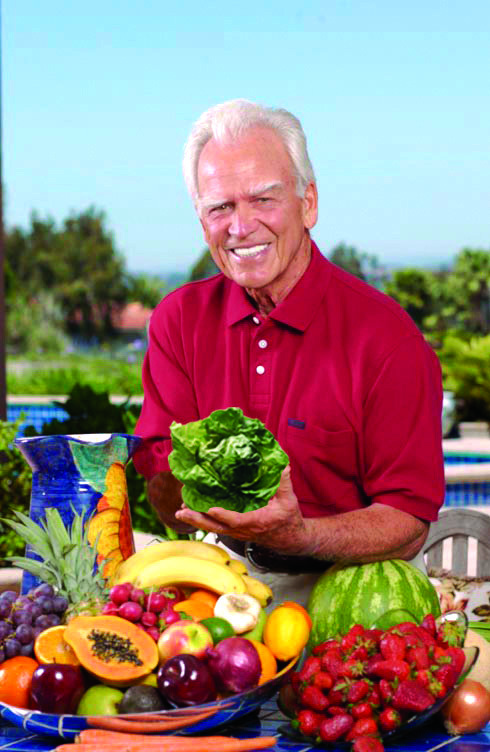 I have found, that after teaching juicing for 62 years, it is a true teaching,not a fad as so many had cast me as being part of. Juicing is a powerful teaching that reaches our cells and our souls, and I am dearly grateful to have been able to share all my passions with you. I hope these insights can and will inspire you to juice everyday and to perhaps pick up some of these old books, so that you too can learn and share what these GREAT Master Teachers have taught me.